There’s nothing that brightens your home or business like sparkling clean windows. When you let Central Window Cleaning handle the cleaning of your exterior windows, that is exactly what you’ll get. As Ohio’s leader in residential and commercial window cleaning, we can get your windows looking their best. We are fully insured and our window cleaning crews are professional, friendly and eager to please. Request your free estimate today! There’s nothing that brightens your home or business like sparkling clean windows. When you let Central Window Cleaning handle the cleaning of your exterior windows, that is exactly what you’ll get. As Ohio’s leader in residential and commercial window cleaning, we can get your windows looking their best. As a full service window cleaning contractor, we are fully insured and our window cleaning crews are professional, friendly and eager to please. Request your quote today! Increase your curb appeal with bright and shining windows! Our attention to detail provides each customer with the highest standards in customer service, quality, and safety. Your total satisfaction is always our goal. What services are you looking into? Yes and yes. Not only is our company, but also all our technicians are fully insured. No and Yes. We strongly encourage our customers to be present for their benefit. This allows you to see first hand how we perform the services and ask questions. Can you clean the inside of my windows, or just the exterior? Yes. All of our products are home-safe and biodegradable. We do not use any ammonia or alcohol-based solutions that could affect fabrics or flooring. While we do accept once a year customers, most of our customers select our twice a year, interior & exterior cleaning or our quarterly exterior only cleanings. How do you clean the gutters? Our technicians come fully equipped with extension ladders and we clean out the gutters by hand and take away all of the debris. How often should I clean my home? Major vinyl siding manufacturers recommend a thorough cleaning every 12 to 24 months. Removing buildups of mold, algae and oxidation help keep your siding at its best. We have worked with Central Window Cleaning for 5 + yrs. They are always prompt, polite and do a excellent job. I would recommend them to a friend. Employees are top notch, customer service is on point. Pricing is fair. They show up when they say will. And do exactly the work they were expected every time. We highly recommend Central Window Cleaning. Central Window Cleaning provides window cleaning, gutter cleaning, glass restoration, and window film services in Brookville, Ohio. With over 19 years experience in the Brookville, Ohio area, Central Window Cleaning is ready for your project - no matter how big or small. So whether it's a dozen residential windows, a clogged gutter or even a 50-story downtown skyscraper that you need cleaned, we are equipped with trained staff and the latest technologies to achieve your goals. In fact, there isn't a cleaning job we haven't been able to conquer yet! Furthermore, with an A+ rating with the Better Business Bureau and a HomeAdvisor Top Rating, we provide home and business owners in Brookville, Ohio the assurance of a job well done and an exceptional customer experience. Ultimately, our aim is to please. We understand the value of clean and getting the job done right! Once again, regardless of whether the job is inside or outside, on the ground or way up high, we're confident you will discover that our experience and attention to detail is unparalleled. In the end, your satisfaction is our highest priority. Contact us today to receive a free quote. We look forward to adding you to our ever growing list of satisfied clients. Central Window Cleaning provides window cleaning, gutter cleaning, glass restoration, and window film services in Centerville, Ohio. 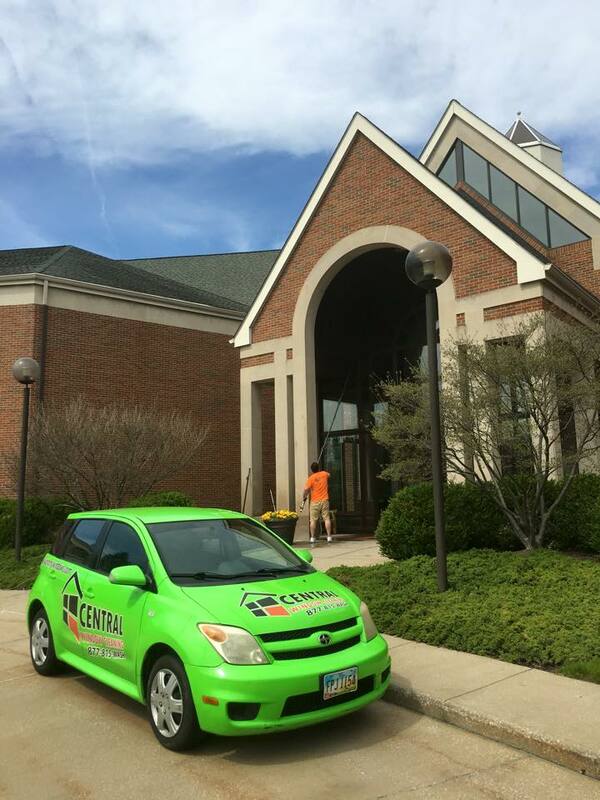 With over 19 years experience in the Centerville, Ohio area, Central Window Cleaning is ready for your project - no matter how big or small. So whether it's a dozen residential windows, a clogged gutter or even a 50-story downtown skyscraper that you need cleaned, we are equipped with trained staff and the latest technologies to achieve your goals. In fact, there isn't a cleaning job we haven't been able to conquer yet! Furthermore, with an A+ rating with the Better Business Bureau and a HomeAdvisor Top Rating, we provide home and business owners in Centerville, Ohio the assurance of a job well done and an exceptional customer experience. Ultimately, our aim is to please. We understand the value of clean and getting the job done right! Central Window Cleaning provides window cleaning, gutter cleaning, glass restoration, and window film services in Huber Heights, Ohio. With over 19 years experience in the Huber Heights, Ohio area, Central Window Cleaning is ready for your project - no matter how big or small. So whether it's a dozen residential windows, a clogged gutter or even a 50-story downtown skyscraper that you need cleaned, we are equipped with trained staff and the latest technologies to achieve your goals. In fact, there isn't a cleaning job we haven't been able to conquer yet! Furthermore, with an A+ rating with the Better Business Bureau and a HomeAdvisor Top Rating, we provide home and business owners in Huber Heights, Ohio the assurance of a job well done and an exceptional customer experience. Ultimately, our aim is to please. We understand the value of clean and getting the job done right! 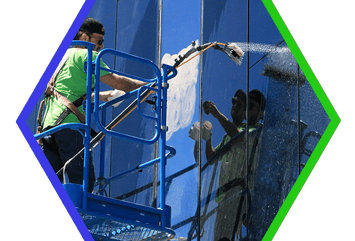 Central Window Cleaning provides window cleaning, gutter cleaning, glass restoration, and window film services in Englewood, Ohio. With over 19 years experience in the Englewood, Ohio area, Central Window Cleaning is ready for your project - no matter how big or small. So whether it's a dozen residential windows, a clogged gutter or even a 50-story downtown skyscraper that you need cleaned, we are equipped with trained staff and the latest technologies to achieve your goals. In fact, there isn't a cleaning job we haven't been able to conquer yet! Furthermore, with an A+ rating with the Better Business Bureau and a HomeAdvisor Top Rating, we provide home and business owners in Englewood, Ohio the assurance of a job well done and an exceptional customer experience. Ultimately, our aim is to please. We understand the value of clean and getting the job done right! Central Window Cleaning provides window cleaning, gutter cleaning, glass restoration, and window film services in Clayton, Ohio. With over 19 years experience in the Clayton, Ohio area, Central Window Cleaning is ready for your project - no matter how big or small. So whether it's a dozen residential windows, a clogged gutter or even a 50-story downtown skyscraper that you need cleaned, we are equipped with trained staff and the latest technologies to achieve your goals. In fact, there isn't a cleaning job we haven't been able to conquer yet! Furthermore, with an A+ rating with the Better Business Bureau and a HomeAdvisor Top Rating, we provide home and business owners in Clayton, Ohio the assurance of a job well done and an exceptional customer experience. Ultimately, our aim is to please. We understand the value of clean and getting the job done right! Central Window Cleaning provides window cleaning, gutter cleaning, glass restoration, and window film services in Dayton, Ohio. With over 19 years experience in the Dayton, Ohio area, Central Window Cleaning is ready for your project - no matter how big or small. So whether it's a dozen residential windows, a clogged gutter or even a 50-story downtown skyscraper that you need cleaned, we are equipped with trained staff and the latest technologies to achieve your goals. In fact, there isn't a cleaning job we haven't been able to conquer yet! Furthermore, with an A+ rating with the Better Business Bureau and a HomeAdvisor Top Rating, we provide home and business owners in Dayton, Ohio the assurance of a job well done and an exceptional customer experience. Ultimately, our aim is to please. We understand the value of clean and getting the job done right! Central Window Cleaning provides window cleaning, gutter cleaning, glass restoration, and window film services in Germantown, Ohio. 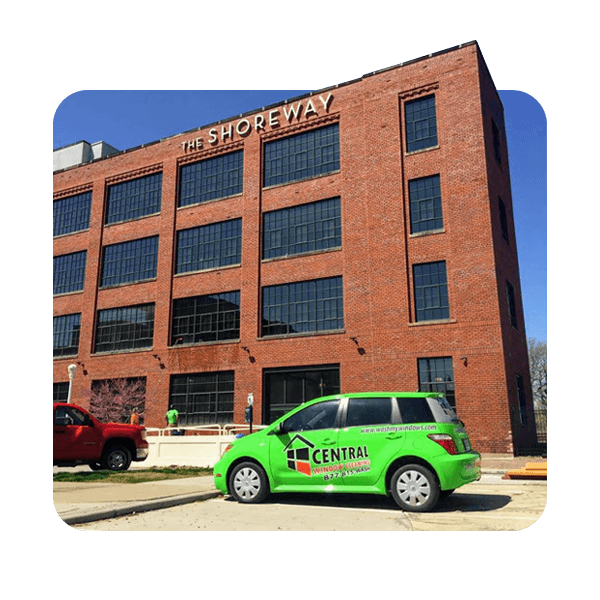 With over 19 years experience in the Germantown, Ohio area, Central Window Cleaning is ready for your project - no matter how big or small. So whether it's a dozen residential windows, a clogged gutter or even a 50-story downtown skyscraper that you need cleaned, we are equipped with trained staff and the latest technologies to achieve your goals. In fact, there isn't a cleaning job we haven't been able to conquer yet! Furthermore, with an A+ rating with the Better Business Bureau and a HomeAdvisor Top Rating, we provide home and business owners in Germantown, Ohio the assurance of a job well done and an exceptional customer experience. Ultimately, our aim is to please. We understand the value of clean and getting the job done right! Central Window Cleaning provides window cleaning, gutter cleaning, glass restoration, and window film services in Kettering, Ohio. With over 19 years experience in the Kettering, Ohio area, Central Window Cleaning is ready for your project - no matter how big or small. So whether it's a dozen residential windows, a clogged gutter or even a 50-story downtown skyscraper that you need cleaned, we are equipped with trained staff and the latest technologies to achieve your goals. In fact, there isn't a cleaning job we haven't been able to conquer yet! Furthermore, with an A+ rating with the Better Business Bureau and a HomeAdvisor Top Rating, we provide home and business owners in Kettering, Ohio the assurance of a job well done and an exceptional customer experience. Ultimately, our aim is to please. We understand the value of clean and getting the job done right! Central Window Cleaning provides window cleaning, gutter cleaning, glass restoration, and window film services in Miamisburg, Ohio. With over 19 years experience in the Miamisburg, Ohio area, Central Window Cleaning is ready for your project - no matter how big or small. So whether it's a dozen residential windows, a clogged gutter or even a 50-story downtown skyscraper that you need cleaned, we are equipped with trained staff and the latest technologies to achieve your goals. In fact, there isn't a cleaning job we haven't been able to conquer yet! Furthermore, with an A+ rating with the Better Business Bureau and a HomeAdvisor Top Rating, we provide home and business owners in Miamisburg, Ohio the assurance of a job well done and an exceptional customer experience. Ultimately, our aim is to please. We understand the value of clean and getting the job done right! Central Window Cleaning provides window cleaning, gutter cleaning, glass restoration, and window film services in Vandalia, Ohio. With over 19 years experience in the Vandalia, Ohio area, Central Window Cleaning is ready for your project - no matter how big or small. So whether it's a dozen residential windows, a clogged gutter or even a 50-story downtown skyscraper that you need cleaned, we are equipped with trained staff and the latest technologies to achieve your goals. In fact, there isn't a cleaning job we haven't been able to conquer yet! Furthermore, with an A+ rating with the Better Business Bureau and a HomeAdvisor Top Rating, we provide home and business owners in Vandalia, Ohio the assurance of a job well done and an exceptional customer experience. Ultimately, our aim is to please. We understand the value of clean and getting the job done right! Central Window Cleaning provides window cleaning, gutter cleaning, glass restoration, and window film services in West Carrollton, Ohio. With over 19 years experience in the West Carrollton, Ohio area, Central Window Cleaning is ready for your project - no matter how big or small. So whether it's a dozen residential windows, a clogged gutter or even a 50-story downtown skyscraper that you need cleaned, we are equipped with trained staff and the latest technologies to achieve your goals. In fact, there isn't a cleaning job we haven't been able to conquer yet! Furthermore, with an A+ rating with the Better Business Bureau and a HomeAdvisor Top Rating, we provide home and business owners in West Carrollton, Ohio the assurance of a job well done and an exceptional customer experience. Ultimately, our aim is to please. We understand the value of clean and getting the job done right!